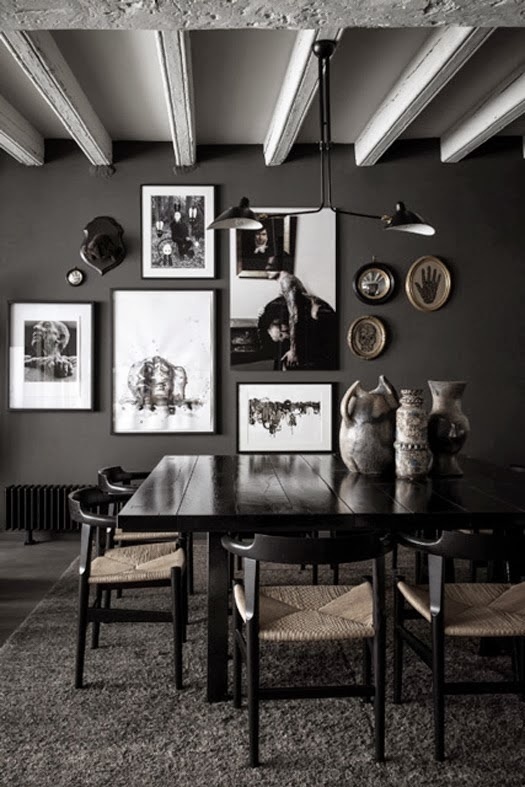 Using black or darker colors in a space can be scary for some but when executed properly can be quite the contrary. 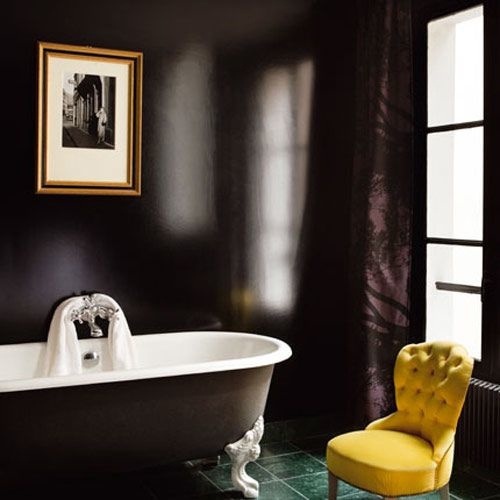 Using black in your space can be infused with any interior design style. 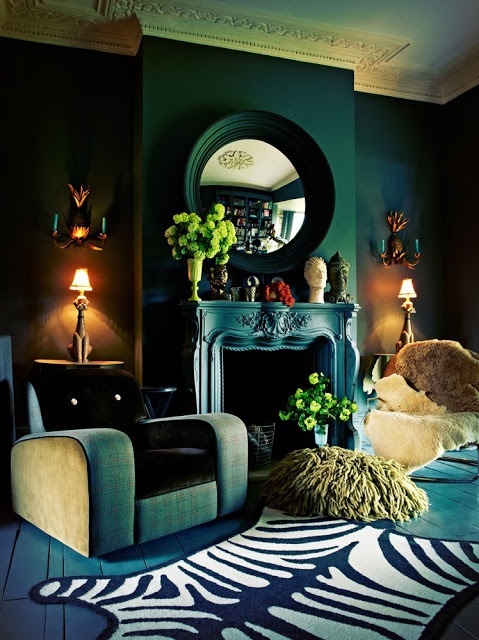 Here are a few tips when decorating with black or darker tones. 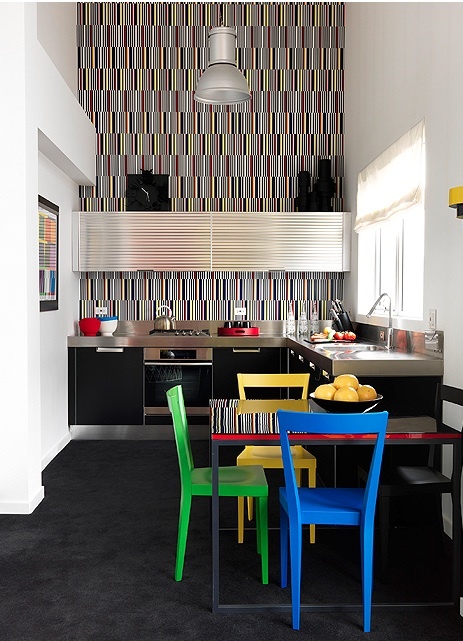 Tip # 1: Contrast your dark space with brighter colors. 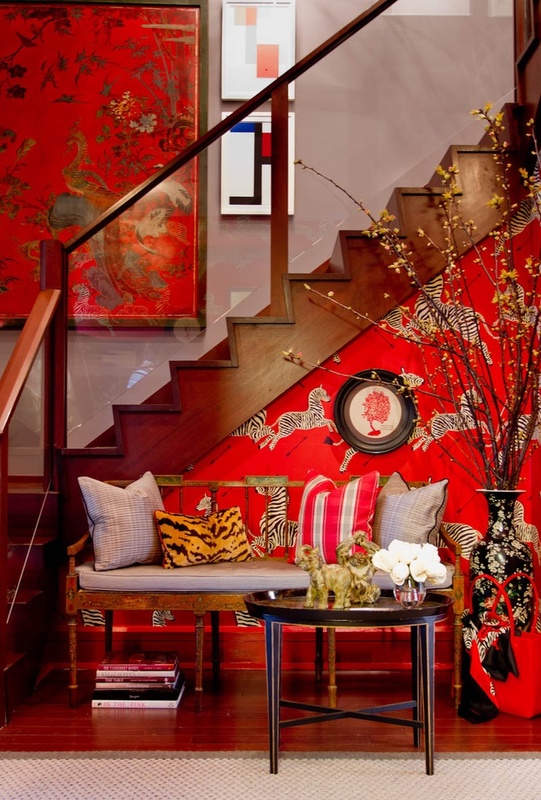 Mix up your space adding a red lacquer furniture piece, for instance. This will create the ultimate statement. 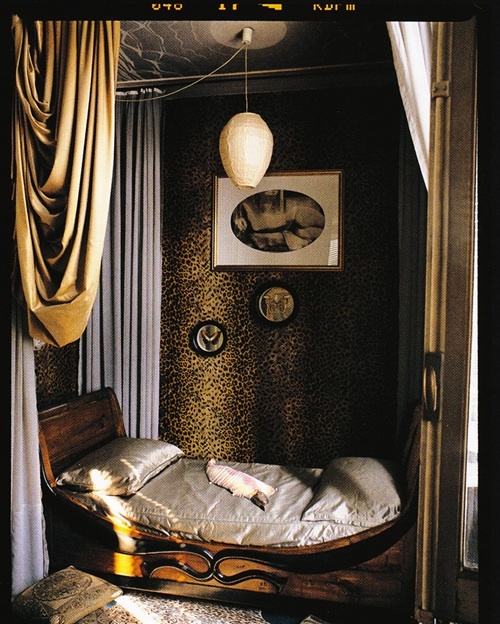 Tip # 2: Make good use of textures, patterns and shapes making your space feel more cozy. Tip # 3: Add warmth with candles and the glow will give your room a touch of class. Tip # 4: Keep in mind you should choose this space wisely. 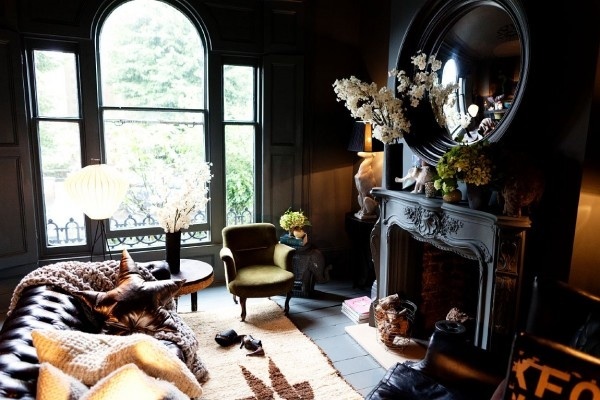 Painting your space black will make a statement but make sure you do so in a room with plenty of natural lighting. Windows are a must. 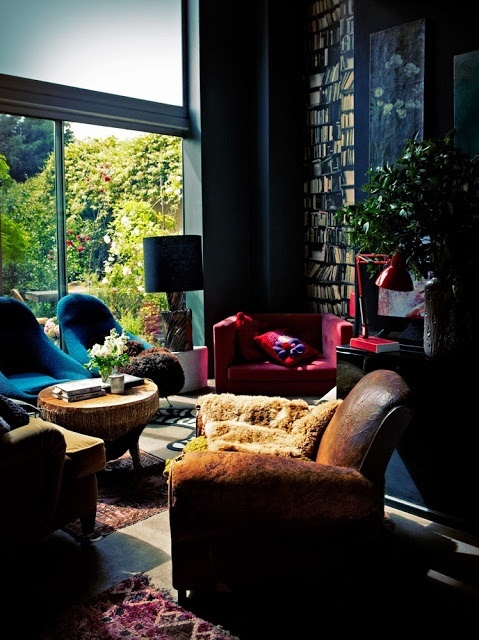 Adequate lighting will compensate for using such a dark tone in your space. It will keep your interior from feeling to dark, gloomy or closed in. Again when done properly… Oh my! Just look at the spaces below. It might sway you in taking the risk in your own home. 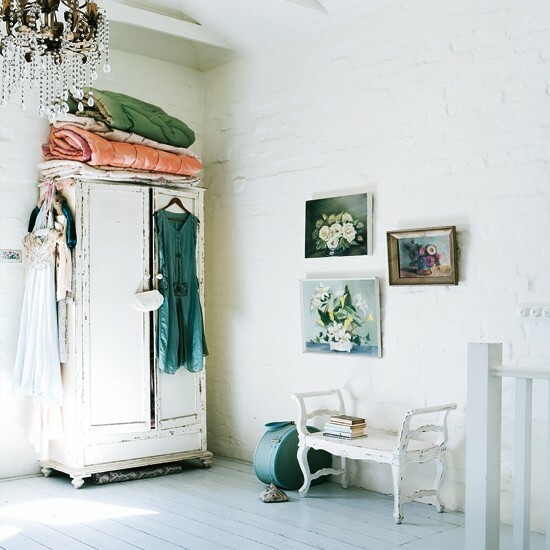 Have you ever thought of using white as the starring color in your home? Designing with white can be modern, romantic or serene leaving any space to feel light and look bright. The best part is that you can mix it with anything…really anything. Make your white interior more interesting by using textured elements to add softness to your space… Or add a pop of warmth with wood finishes or colored accents. 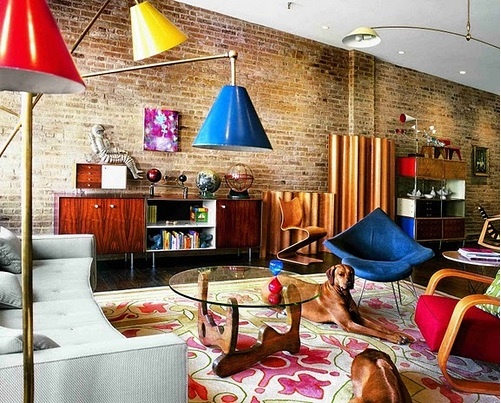 I don’t know how bold I would be to do such a space in my own home (especially with a pet) but a girl can always dream. Check out the spaces below and tell me what you think. 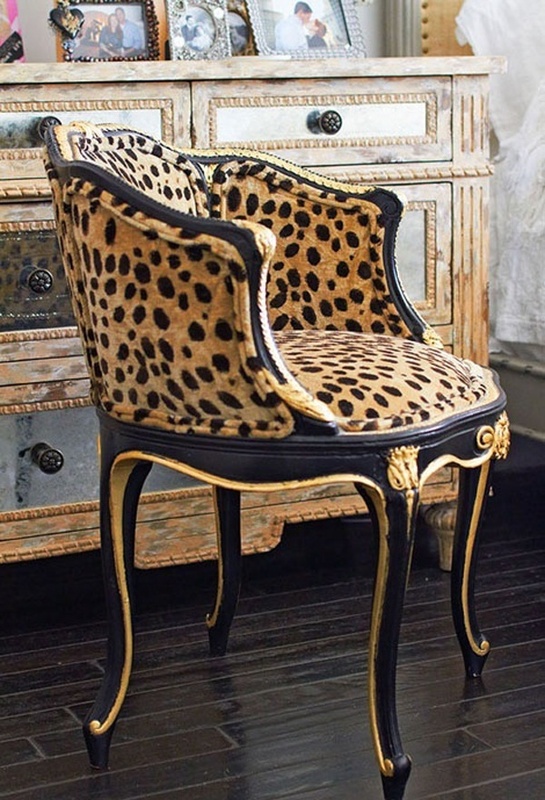 Lucite furniture is in high demand in interior design and I am sure will be around for quite sometime. What do you think? 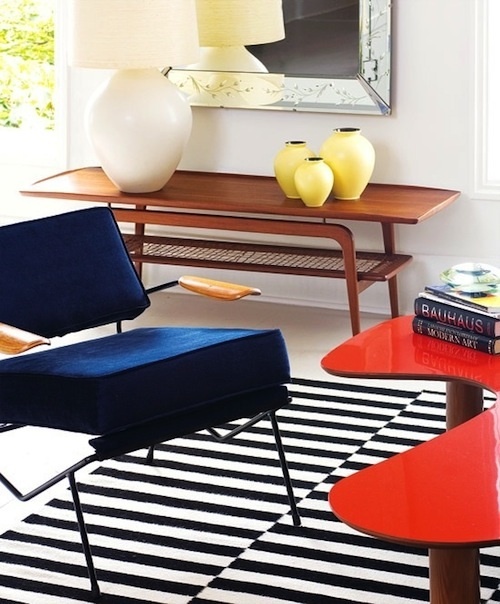 Let’s get clear on why… lucite furniture blends in seamlessly and adds a sense of style to any room. 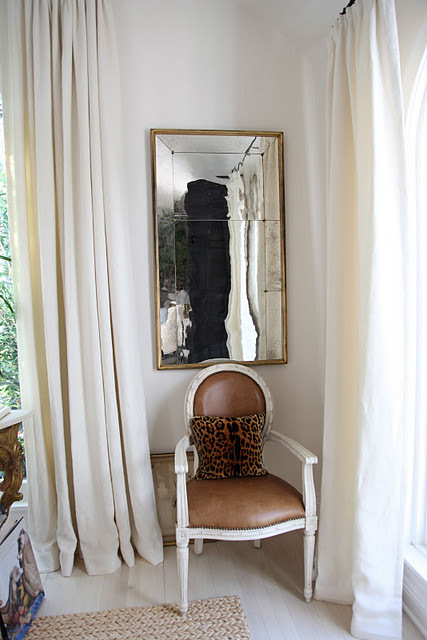 Lucite mixes well with both contemporary or antique furniture and will blend in with any design style. These transparent gems are a must have! Have you ever thought to use the colors of the color wheel in such a bold way as the pictures above? These images prove that you can use such colors in a way where it is still grown-up. I just love it! 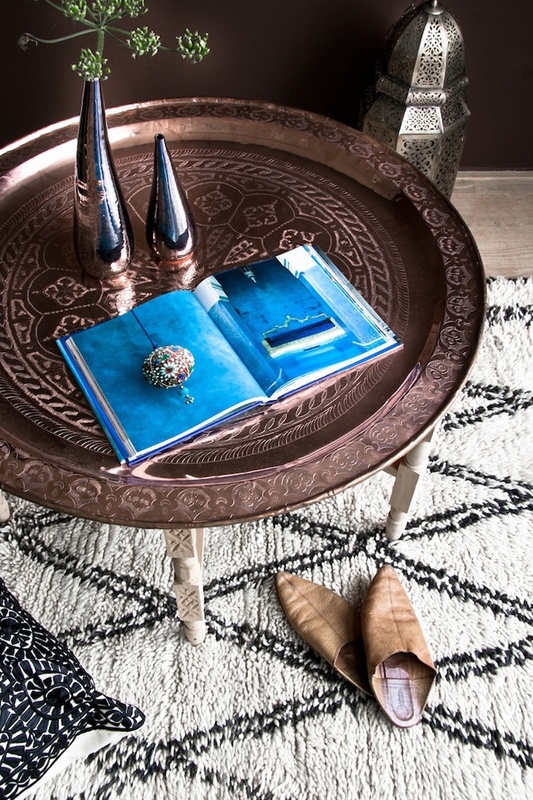 I love Moroccan Interiors and get inspired every time I view one. 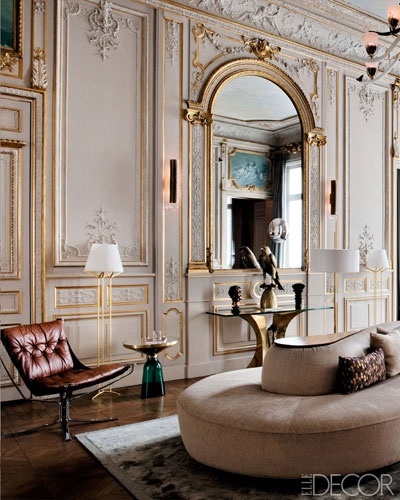 These spaces are exotic, luxurious and oh so elegant. 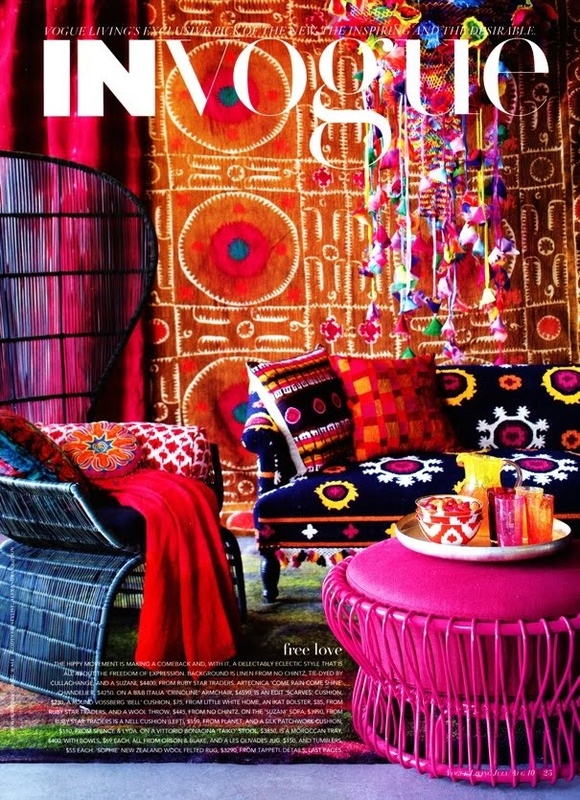 The vibrant colors, rich textiles and uniquely adorned furniture draw you in. 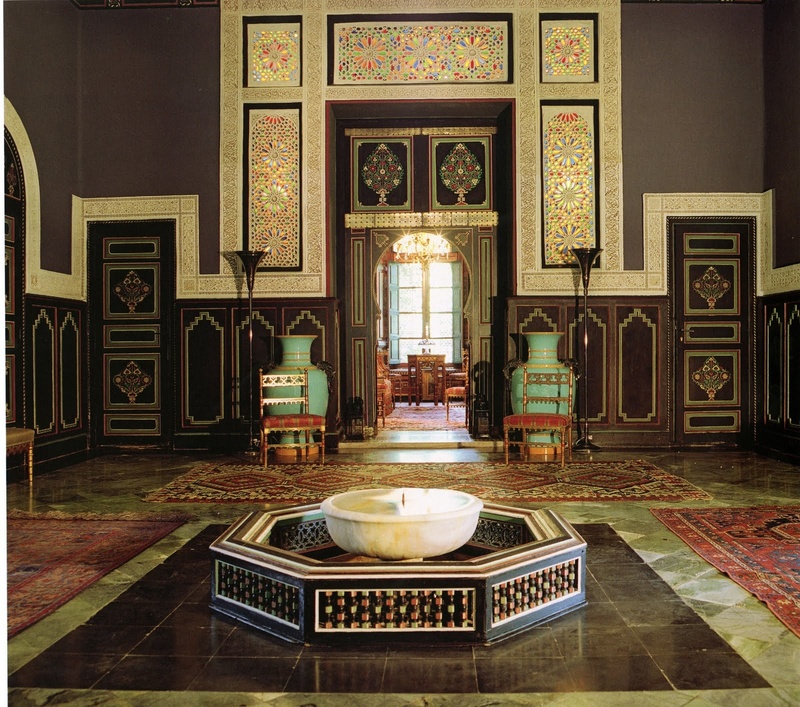 Moroccan interiors are all about creating an indoor oasis reflective of the surrounding landscape. Colors mirror the sunset, water and sand all around. How could you not be at peace in such a space. I truly desire to visit Morocco because it seems to be such a beautiful place but until then I will dream and be inspired by the images I gather.